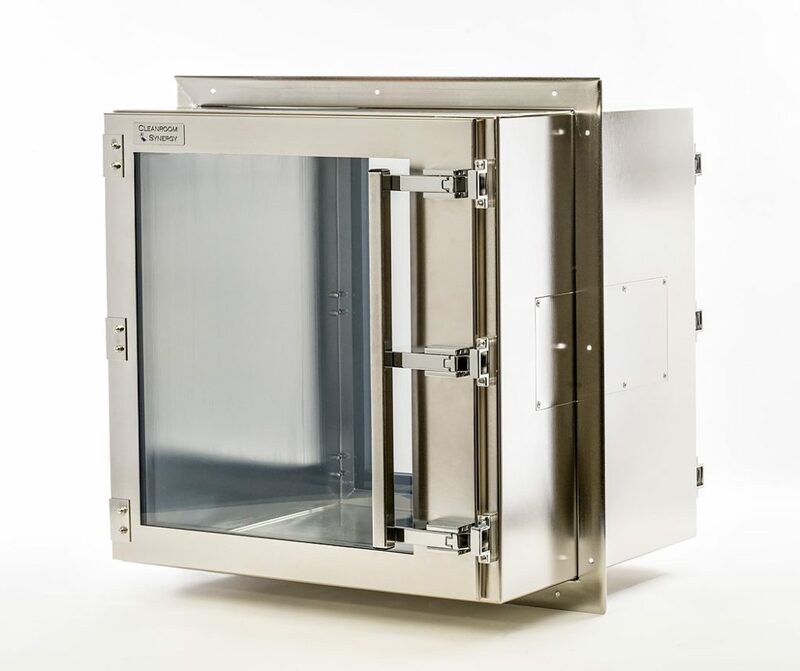 CleanER™ Pass-Through Chamber Design – The construction method of the CleanER™ Pass-Through Chamber provides radius corners along the sides and both door opening areas that allow thorough cleaning and disinfecting. Off edge continuous seam welds are ground and finished to reduce harbors for bio-burdens. CleanER™ Pass-Through Chambers are also available with an electro-polished finish, which removes any impurities, leaving homogenous surfaces for enhanced corrosion, stain and bacteria resistance. Each pass-through comes standard with two sets of stainless steel mounting brackets, allowing the chamber to be secured, while closing off the wall opening in which it was placed. To control cross contamination, each CleanER™ Pass-Through features the same interlock mechanism that is installed on Cleanroom Synergy’s premium BioClean™ Pass-Through Chamber. This interlock mechanism is durable and maintenance-free and ensures that no more than one door can be opened at a time, thus controlling contamination influx to critical areas. The interlock mechanism itself is isolated in its own stainless steel compartment, which is off-set to the side to the side of the chamber.